I so look forward to your posts. I’ve tried out many of the recipes, and many I have simply stored for future reference. Your obvious passion and commitment to conveying your own love of savouring the preparation and eating of good food really comes across – enough to trigger a salivatory response in me as I eagerly read through each new posting. Kia Ora and Many Thanks from NZ ! 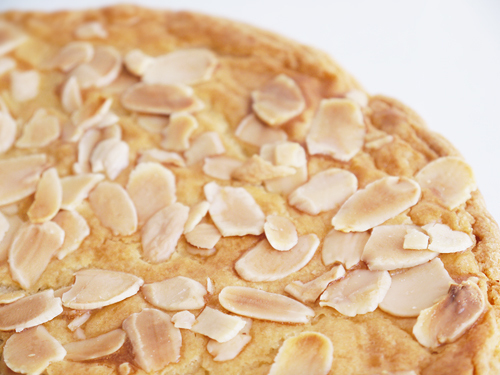 One question: Is almond extract the same as almond essence? Ooh, good question. I checked what I used – it’s actually Langdale’s essence of almond, but it claims on the bottle to be made from almond extract (i.e. pure bitter almond oil). So provided you’re using something that is of decent quality, I think they are interchangeable. I suspect the essence contains some alcohol to make it mix better with the other ingredients. 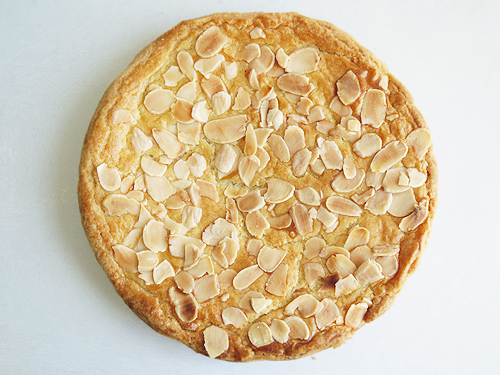 The main thing is that you want a subtle hint of almonds, and for it not to be overpowering, so check how strong it is, as probably use less, not more, if you’re unsure. Good luck! Thanks! It means a lot to know you are looking forward to my posts. If you’ve got any comments on them – ingredients or description, then please let me know! Ohhh what a fantastic wedding. I watched the entire broadcast and it was so exciting. The British sure knows how to throw a party. 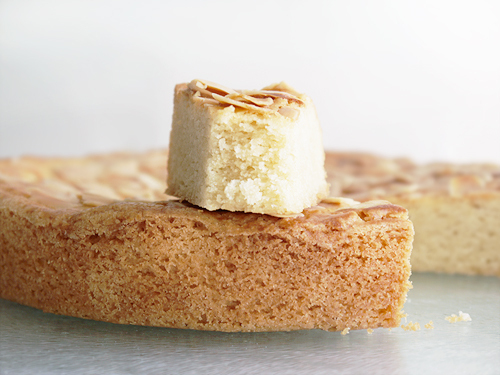 Love your Butter Cake, it looks moist and delicious. I am always looking forward to seeing what your next post is going to be. Keep up the good work. On behalf of Britain – thanks! There is still such a buzz here, and all the flags were lefts along the Mall and up Regent’s Street. We also had three wonderfully sunny days afterwards, so the mood of the national has really been raised. I think I watched the TV for 8 hours almost non-stop, and then when they had the vintage plane flyover, I could see the planes 30 seconds later from my house. Amazing! Glad you like the recipe – I’ve been trying to keep things varied and interesting, so glad that you like the posts. is plan flour plain flour?? and 200g would equal slightly less than 2 cups? Hi Michelle – oops, you’re right, it should be plain flour! I’ve corrected the recipe. Good luck! Let me know how the recipe turns out. Can you do them as individual size in a muffin tin? Hi Justin – interesting question, and the honest answer is that I have no idea! 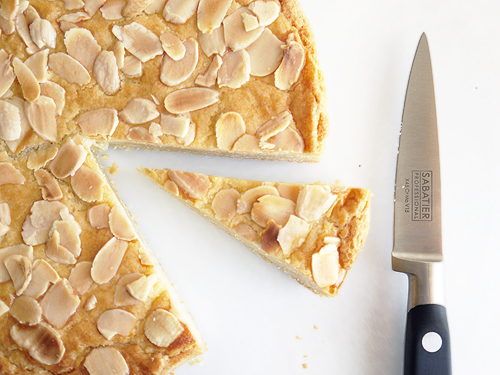 I’ve only ever seen boterkoek as a single large cake that is cut into slices. However, I guess there is no reason that it would not work, you would just have to adjust the baking time accordingly. If you do it, let me know how it works out! I have been making Boterkoek for over 40 years an old recipe from my mum and this recipe is exactly the same so I was stoked. Some times I use grated lemon rind instead of almond essence and that is very nice also as well as filling it with almond meal paste especially around Christmas time. Hi Annelies – good to hear this recipe is authentic! I got it via friends. I like the idea of using the lemon zest too. A good one to serve the neighbours here in London during the Dutch coronation perhaps? Queen Beatrix birthday is actually on January 31. When Princess Juliana was expecting, all the souvenir makers and porcelain factories were ready to go except for putting the date in. January was already on every item. Quite a bit of anxiety occurred when the 29th and the 30th came and went. Finally, on the 31th, the little princess was born. A big sigh of relief went up by all the manufacturers of the souvenirs. Hi Paula – of course you’re right! I’ve changed the post to note Queen Beatrix was born in January. I love dutch cooking as my husband is dutch and always try to give him treats .you can buy individual little cakes that sound very much like this from dutch bakeries in aust. that is what made decide to google something, and I came to your site. I will make the cake tomorrow, and then I will know if its similar or the same.Thank you. I absolutely love this cake. A Dutch lady at my local farmer’s market sells them and I used to buy it all the time. I got a KitchenAid mixer as an engagement present and I looked up and found your recipe, spot on. I took it to work and it was completely gobbled up! Thank you. Hi Nicki – glad to hear that it worked!